Untouched nature and mystic temples. 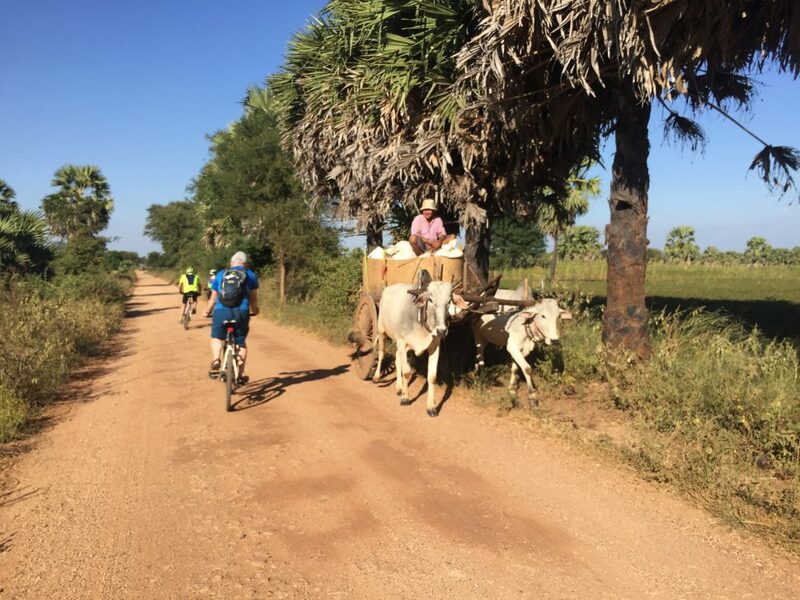 Myanmar is still a secret hint by bike. Cars are still rare. Beside bikes, oxcarts are an important mean of transportation. Myanmar enchant with its incomparable charm. 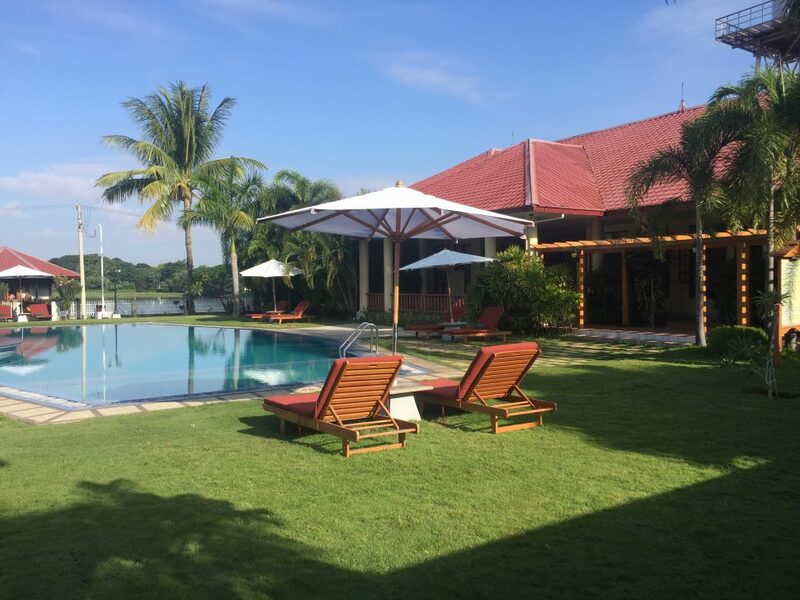 Highlights are the Pagodas in Bagan, the impressive knowledge of the one-leg-fishers on the lake Inle and the religious culture, which will accompany us on the entire trip. Colorful markets call for a stroll and locals show us their everyday business while we are discovering breathtaking landscape by bike. Outbound flight via Bangkok to Myanmar. Arrival in Yangon in the morning. After a short stop at the hotel, we will start to discover our first Pagoda Shwedagon. It is one of the most important sacred buildings of the country. We will visit the biggest lying statue of Buddha in the Chauk-Htat-Gyi Pagoda. Afterwards we will turn a round through the Mahabandoola Park and Chinatown. To avoid bigger mountain section, we will fly above them to get to Heho. The surrounding is hilly as well, but this is it what makes the charm of the area. Here we can admire the beautiful view on the way to Kalaw. Kalaw is unique with a lot of houses in the colonial style. They were built by the Brits as a summit station. Now it is time for a relaxed city tour. 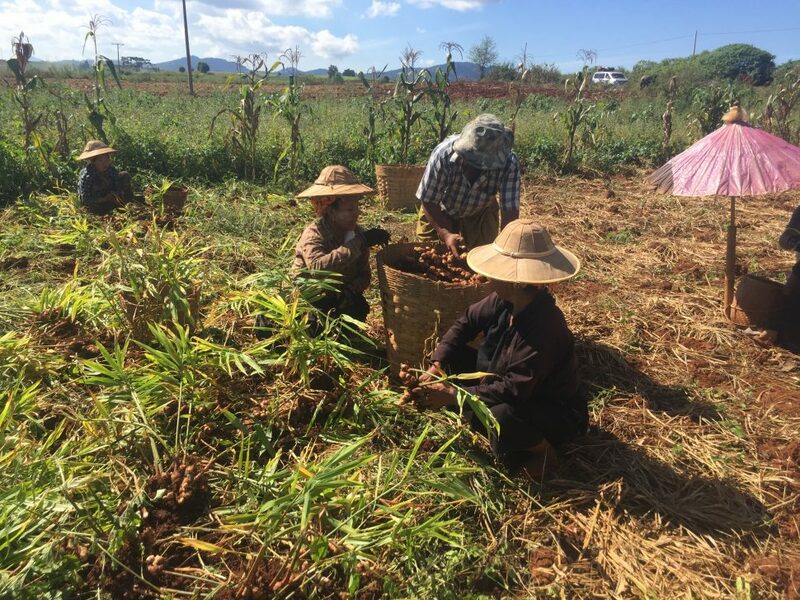 Kalaw is known for its wonderful morning market. Therefore will visit the market befor we cycle towards Pindaya. A small curvy road, in a breathtaking surrounding brings us to Pindaya. Pindaya is coined by an interesting cave system, in which we can find 800 golden Buddha statues. 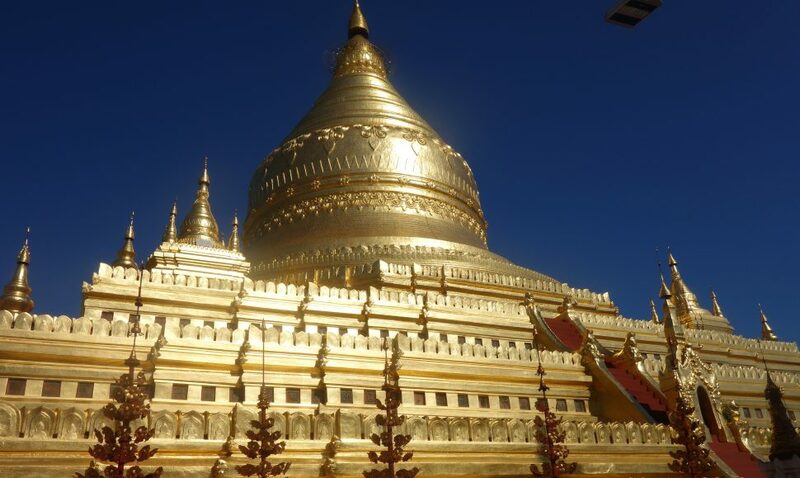 The impressive Pagoda Shwe U-Min-is located at its entrance. Today we have a short transfer before hopping on the bikes. Here we will meet a producer of paper umbrellas, a family business. We are now in the State of Shan, home of many ethnic minorities. Colorful garbs distinguish the diveres ethnic people. 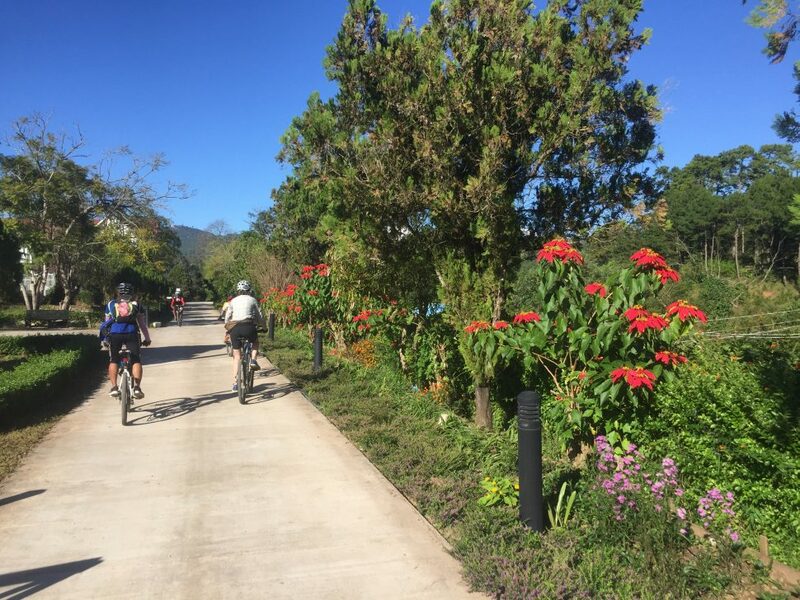 Afterwards we will cycle through a wonderful landscape to Nyaung Shwe, a small village at the northern end oft the lake Inle. The Lake Inle is 22 km long, 11 km broad and 900 m above the sea level. Around the lake there are approximately 100 monastery and 200 villages located. Their inhabitants are members of the Intha-tribe. The atmosphere of the lake in the morning is just stunning. Through and beside stilt houses we arrive at the swimming markets and witness busy activities. With trained strokes the one leg rowers slide through the water. Pagodas line the lakeside and appear very mystical. Transfer to the airport in Heho and fly to Mandalay. This day will be one of the cultural highlights of this trips for sue. We visit the fascinating monastery of Shwenandaw. It is entirely built out of teakwood and underlines the beauty of the ancient kings’ palace. 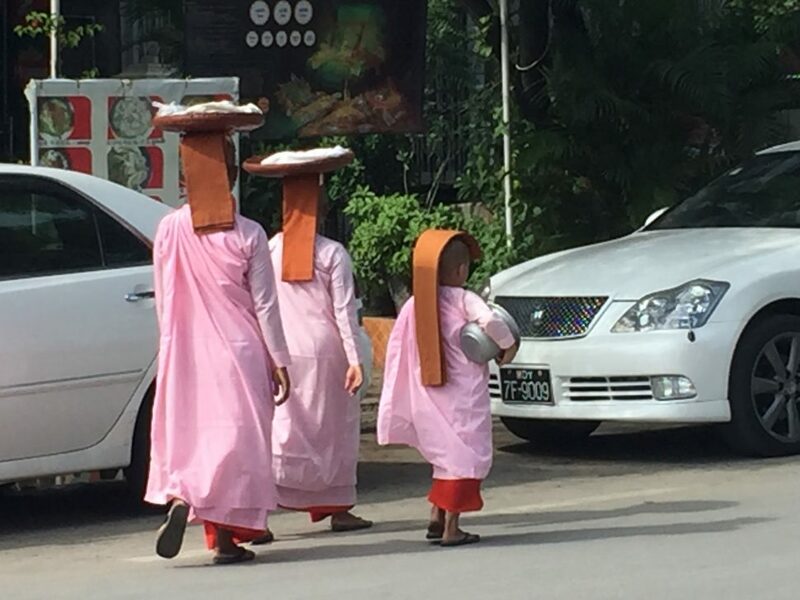 We are not far away from the Pagoda of Kuthodaw. There we can probably find the biggest book on earth, this time out of marble! We can have a look at the artisan of flimsy golden tailings (they are covering the five Buddha statues). This is a great occasion to let the day fade away pleasantly. 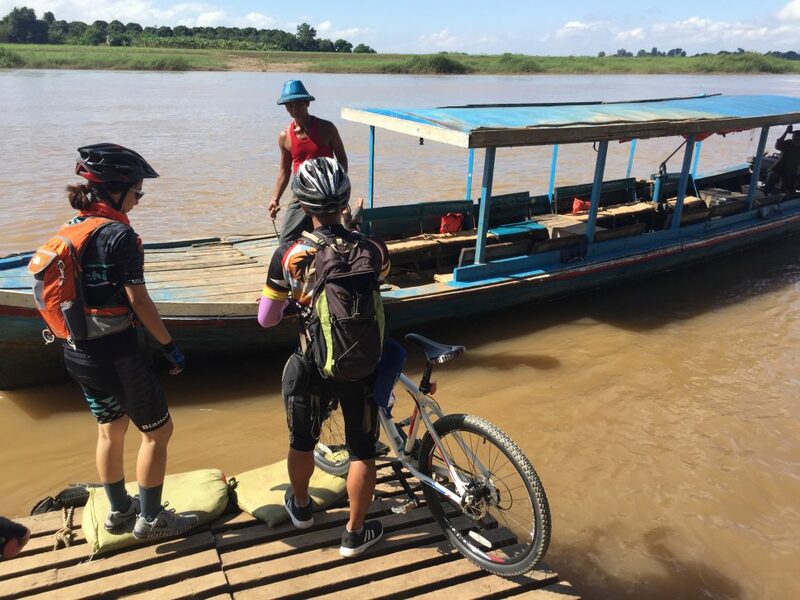 A stunning day of cycling, which will lead us first to Amarapura. The 1,2 km long U Bein Bridge, out of teakwood is already 200 years old. Silk and cotton were always an important trade for Myanmar, here we can have a look, how it is produced. The new capital of the ancient kingdom Ava, Inwa, is the destination of today’s trip. Here we will explore the city by boat, bike and foot. 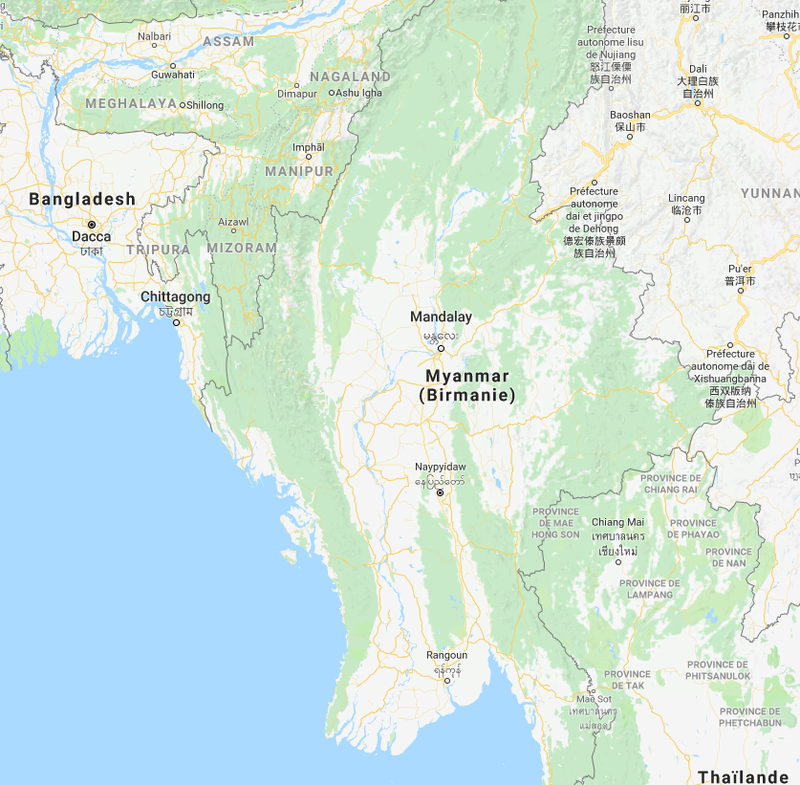 Along the river Irrawady and beside monasteries and the Nanmyint watchtower we will reach Sagaing. 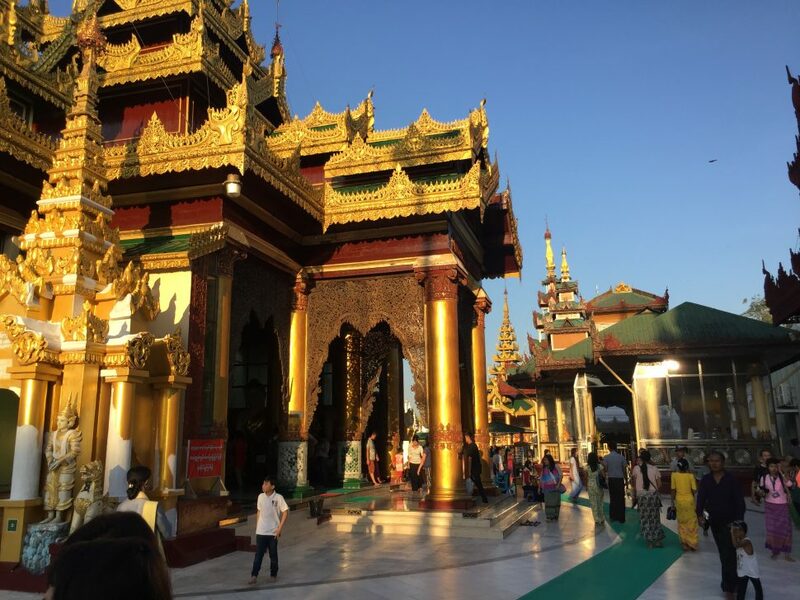 With its 600 ivory-colored Pagodas and monasteries, it is seen as the spiritual center of Myanmar. After breakfast we will transfer the Chindwin River by ferry. From thereon we will cycle to the Pho-Win-mountains. There we can see serval of the sandstone-cave which occurred naturally. In these caves we will explore Buddha statues and mural art, which are date to the 17th and 18th century, some of them are even from the 14th to 16th century. The local rulers created a field of Pagodas in Bagan between the 11th and the 13th century – with giant magnitude. From the former 6.000 Pagogad it remains around 2.000. Several of them we are visiting by bike today: the Ananda-Temple, the Dhammayangyi-Temple and the Dhammayazaka. The village Phwa Saw with its rattan-houses is worth a visit. 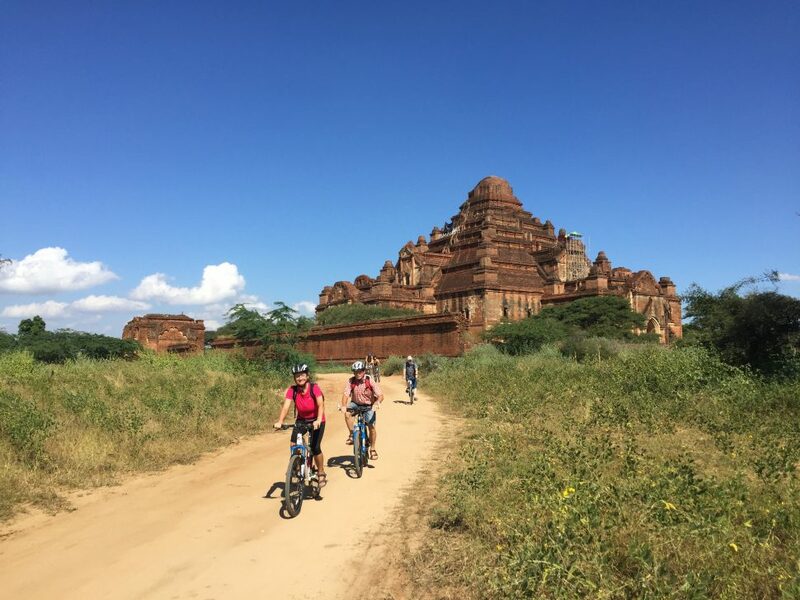 We continue the trip by bike towards the Shwezigon-Pagoda, which was created as a religious shrine in the early 11th century by king Anawrahta. 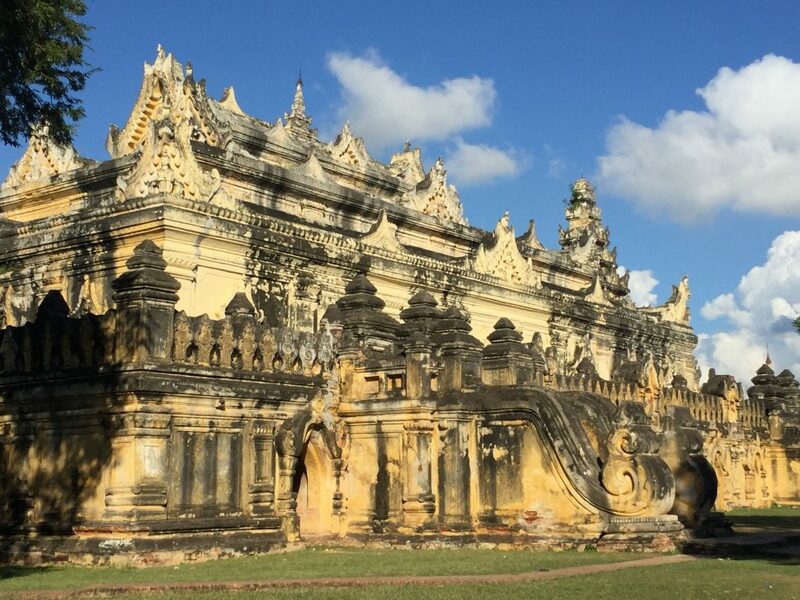 In the afternoon we can visit further temples which are partially under the protection of the UNESCO. Today’s program is our last cycling stage? It will lead us to the holy mountain of Popa. The dead volcano is reagrded as one of the holiest places in Myanmar. According to Buddhist tradition 37 “Nats” (guardian spirits) are located here. We admire the panoramic view! Transfer to Bagan. Transfer to the airport of and flight towards Germany. Mostly on side routs and farm lanes through partial flat areas up to hilly terrain. The price is not covering the visa costs of 25,00 US$.